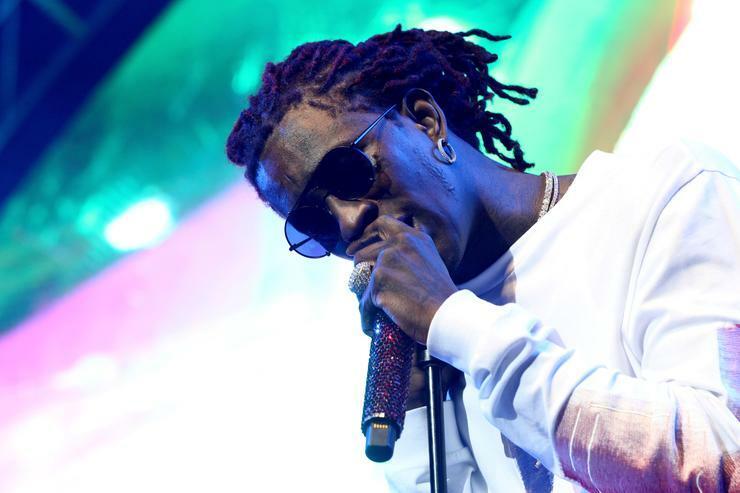 Young Thug & Rich Homie Quan have responded to Gucci Mane's request. Earlier today, Gucci Mane made headlines when he offered to pay $1 million dollars cash to get Young Thug & Rich Homie Quan to do another mixtape together. “I got a million cash for @RichHomieQuan and @youngthug to do one mixtape at the brand new #PolarBearStudios #NoCap 12songs from stratch! #NoCap brrr!! !” he tweeted out, but unfortunately it doesn't look like that will be happening any time soon or so we assume. It’s impossible to decipher his tone or what Thugger meant by this. Whether he’s saying he’s down to do it and doesn't need the money, or if there’s no chance in hell he’ll ever do that again in his life, you can read it either way, but I'm leaning towards the latter. However, Thugger wasn’t the only one to respond to the tweet. Rich Homie Quan also caught wind of Gucci’s request, and he apparently looked to be all for it. During an Instagram Live, Quan said he was ready to record today if need be and he'd even let Gucci name the project for him if he wanted. Check out Quan’s response (below), and let us know what you think. Should Thugger & Quan do another tape together or move on?